Or if something happen to you, they will be the 'siren' to tell your parents on your condition =_="
No more playmate, or listen to secrets as often as before.. Since we were baby till now. Happy Birthday Noor Baizura who were born on 29th August 1989. Im wishing you both may have a good life ahead & stay healthy. And spread your shine to others, as you both is one of the best persons to know with. Aku dan automotif bukanlah sesuatu yang aku mahukan sebelum ini. Malah ia adalah sesuatu yang aku mahu elakkan dan pernah bersumpah tak mau berkecimpung dalam bidang sedemikian. Desperate in changing job has make myself a..a..what should I call that ya? Erm, desperados lah kot??! Ayat goreng adelah wajib dalam mana2 interview yang aku attend. Terarah oleh Allah swt untuk aku attend interview di VW. Macam biasa goreng-goreng kata minat bidang automotif lah, nak jadi macam bapak sebab ayah dulu dalam bidang kejuruteraan lah, and..and..what else?? Got a call and the offer one day from the HR then terus accept tanpa pikir bebanyak, which is so typical of myself -_-"
Jangan mengadu pada blogs, @ fesbuk @ twitter @frenster( itupon kalau masih ada).. Tapi mengadulah pada Allah SWT yang menyusun dan menentukan perkara yang akan berlaku pada diri setiap individu di muka bumi ini. But, Im still want to erm, confiding (sharing perhaps) to some of my fear I have to face daily, which is being afraid of under performance or more rightly to be call performance anxiety..
Well, it goes like this. Everyday, my sv will record our work count, and my count I can say is the lowest of the most. And Ive been thinking that he might have this -ve thoughts on me and indicate me as one who have to be eye-on. And it can bring to worse where I feel like I'll lost my chance to be in better position or will be under-estimate by the upper managements @ even my colleagues. This really stress me out, and like usual the way I took to conquer this is by acting like nothing happen, and ignore the 'heck' im facing and let it grow like a cancer and Im just waiting it going to explode in myself.. Allah hai~~ -_-"
Ive google some webs that might help me to overcome this, and from what Ive read, these are the ways that can help me to prevent the overwhelm situation. jotting down successes in a journal to help keep perspective, can make us to realize we can be more successful and help to build confidence when we stress about work performance hits. if you cant shift any of your responsibility, try to breaking each large task to smaller, manageable parts that feels lees daunting. 4. Pursue activities outside of work. Just like and love what you were doing now. Get know the job scopes more wider from normally you were doing. Try to ask more challenging tasks , and try your best to accomplish the works as best you can done. Ignore whatever peoples surround may says about it, just be grateful things done, and if possible, try to record a personal measure so you can make it as an indicator and try to make it more better next time. And last but not least, do your work with sincere, which is more worth it than any physical response due to a good work. Well, successful is an amount of LITTLE discipline that being observe and practice CONTINOUSLY. Buat kerja banyak2 ,bina disiplin kecil- kecilan. So goodluck for myself in conquering my own fear,mwahahaa ~~ May Allah leads me for a better attitude and life. Amin.. The 2011 own stories .. I can say, half of my 2011 isnt going so well. So many aspects like life, relationship (w' parents, friends, social contact) and working experiences were include in.. But in the same aspects, I can say its not going that bad. Well, Ive learned from the past, and try to conquer it (even its not going as Ive expected). Tapi takpelaa kot, thats why the phrase like' Life must go on' were created, kan? My working experiences, like the one Ive put on my resume, adelah kot 4-5 kerja, hee.. On January till early March, worked as temp teacher (subt for teacher who take maternity leave) for primary school is one of the most unforgettable moments ever. Somehow, I can say being a teacher is a very cool job. Erk, neglect the parts where I can be so upset or naik hantu when my students dint really want to listen to me, or bergaduh2 masa PJK, yaa ampuuuunnn, menangis di dalam hati taw saye, huhu.. Tapi, what can we say on that. 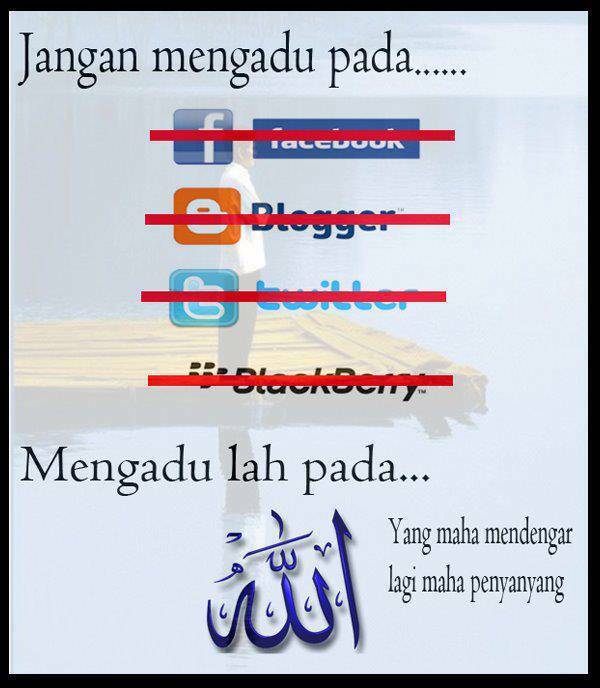 Budak is still budak. Can be adorable and insanely cute, BUT SO NAUGHTY AND STUBBORN. Dan kesabaran acapkali teruji, okeh?? p/s:ouhh, how boring the entry , kan?.. 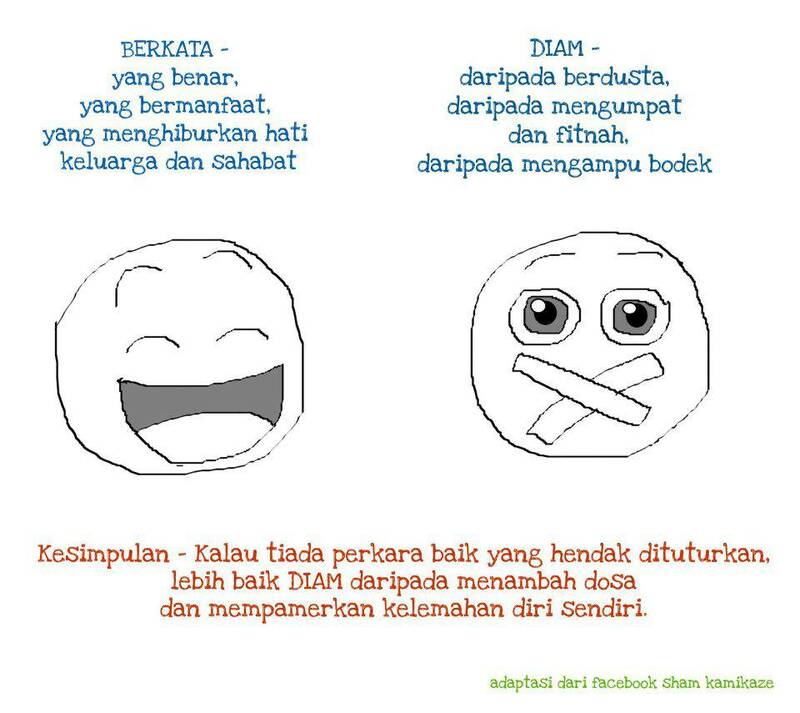 Well,I think this is the true me.. Nyte alls..
Im no more typing, because im boring. My life has no excited-ness like else's.. Im typical grown up girls-to-be-makcik-budak who try the hardest to understand the main reason why Ive been born to this world in 'such' chaotic sometimes happen in my life. I keep talked to myself before, I have to do this and that. Ya, there's a planning, looks like very perfect one. BUT, theres no actions regarding to plans. And this is so typical Syakierah anak kepada Encik Rosli dan Puan Noor Aini. My parents has nothing to do with it, Im just pity them to have such eldest daughter like myself. And now I believe, serve sulk in heart without doing nothing in so useless.. Yah, till when I should relies to peoples surround to think for my OWN problem's solutions?? Marah sangat pada diri sendiri. Seriously hangin !! And when all the muddle come, I sometimes forget that I have HIM for me to turn to. Im easily forget that I have the Holy Quran for me to treat all the sulkness, or perhaps it may help to relieves it a lil' bit. I also sometimes forgot that I have the prayer mat for me to sat meditating and unbosom all unsavoury feelings and appreciate the sense splendours of love in HIM. Im not that young anymore to find myself a pleasure by hanging out with friends for bowlings, or karaoke-ing, or movies. A peaceness heart and true love for HIM all I want the most now. 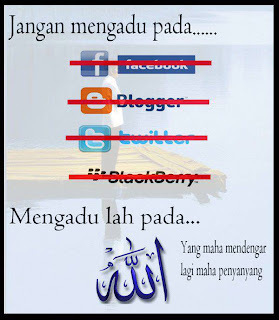 InsyaAllah..
Everyone, including myself dont have the idea when and where the Izrail will take our life. Will I really can R.I.P there, or will I live terribly 'after the line' later? Nauzubillah.. May we all be avoided from such things. May Allah giving us the strength to facing all the coming 'test'. Allah knows best. Alhamdulillah for all the love feelings at heart that conferred by HIM to us..
.:: Blogs Blogs Saye ::.
.:: Blogs Orang Ramai ::. Apa Pengertian Nisfu Syaaban ? One tank of milk please. One tank?? kalau bukan kita, SIAPA LAGI? ?